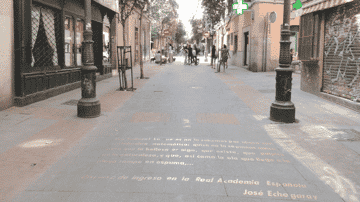 Last time we looked at the Puerta del Sol, Malasaña and Chueca neighbourhoods. 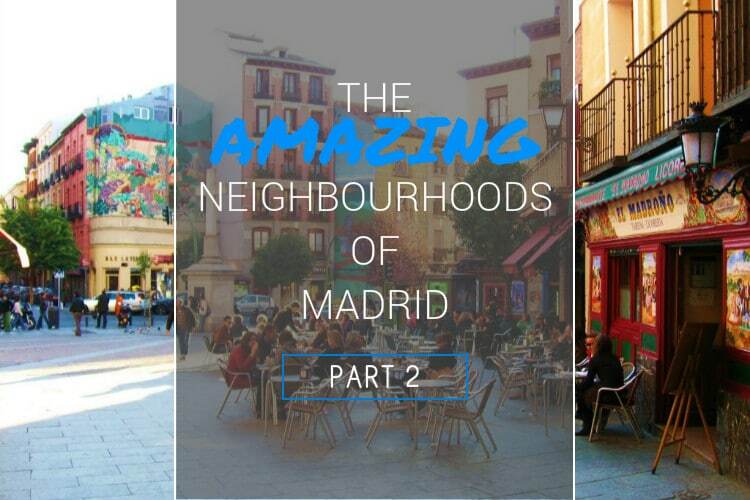 This time, we’re taking an inside look at four more of Madrid’s amazing barrios! 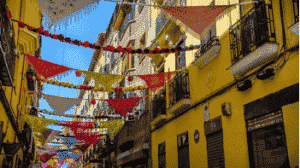 Named after its main street Calle Huertas by the locals, this neighborhood is officially called Barrio de las Letras. Another great area to go out for dinner, a caña or for the night. This part of the city is five minutes walking distance from Sol and is crawling with all sorts of bars and great restaurants. Featuring the large Plaza Santa Ana and numerous small side streets, there’s a lot to see and explore, like Calle Leon which has fun bars, old-school delis, and interesting boutiques. 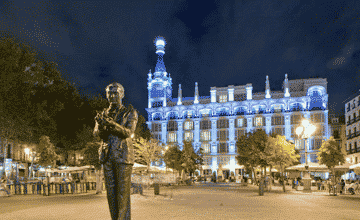 While you’re here, don’t miss the popular spots like live music at café Populart or a drink at the iconic Hotel Reina Victoria, not to mention the landmark house where Cervantes died in 1616. Though very much part of the tourist hub that is Sol and city centre in general, this neighbourhood attracts just as many locals for the excellent atmosphere. 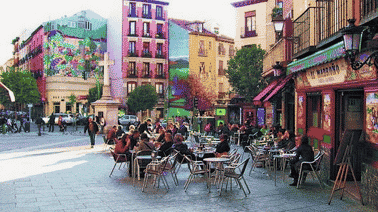 If you’re looking for a great location where you’ll never be bored, consider barrio Huertas! This title generally refers to the area just east of Plaza Santa Ana and is named after the many important writers who lived here like Cervantes, Quevedo and Lope de Vega. You’ll recognize it by the golden quotes set into the pedestrian cobblestone streets, which can be found here and there throughout the neighborhood. This area is distinct from Huertas because it’s less of a nightlife area and instead houses, many arts and crafts shops and cultural attractions like historic houses-turned-museums. Perhaps best described as laid back, bohemian and artsy, this neighborhood is also home to important artistic venues like Caixa Forum and is a short walk from the Prado and Thyssen Museums. It boasts numerous traditional shops like cobblers, silversmiths and instrument craftsmen, and maintains this quaint neighborly feel without compromising its proximity to the comings and goings that make the center of Madrid such an excellent place to live. With a distinct underground feel, Lavapiés is quickly becoming one of Madrid’s trendiest neighborhoods. It was home to an influx of immigrants for many years, which has transformed this barrio into a fusion of culture, cuisine and alternative-artsy nightlife. Just one metro stop south of Sol, Lavapiés is being embraced for its diverse personality and hipster bars featuring outdoor terraza seating. Most famous for these bars and terraces is Calle Argumosa, which is lined with ethnic food and traditional taverns alike, and filled to the brim with groups of friends every evening and weekend. The famous tapas route held every October, called Tapapiés, features many stops along Argumosa and fills the neighborhood with people enjoying a cold caña and conversing over good food. Thanks to lower rent compared to other areas and the draw of a multicultural neighborhood, many young people come here to live alongside people of over 90 different nationalities. Try some food from around the world, enjoy a drink, or simply explore the streets filled with interesting and colorful street art! Located just south of Plaza Mayor, this neighborhood is made up of beautiful Latin architecture and small colorful alleyways between 18th-century buildings. Here you’ll see tons of streets lined with restaurants and their respective terrazas, as well as traditional bars and interesting antiques shops. On Sunday mornings, La Latina’s famous outdoor flea market, El Rastro, engulfs La Cava Baja and the entire surrounding area and is packed with vendors and shoppers alike. The basilica’s elegant dome stands as a backdrop to the area’s bustling streets, restaurants and taverns, which are dotted with interesting graffiti and street art. Perhaps the most popular neighborhood for a tapas crawl with friends, this eclectic and vibrant barrio is a unique place to spend time exploring one of the oldest parts of Madrid. If you haven’t read up on the other “barrios” in the city, check out part1, part3 and part4. 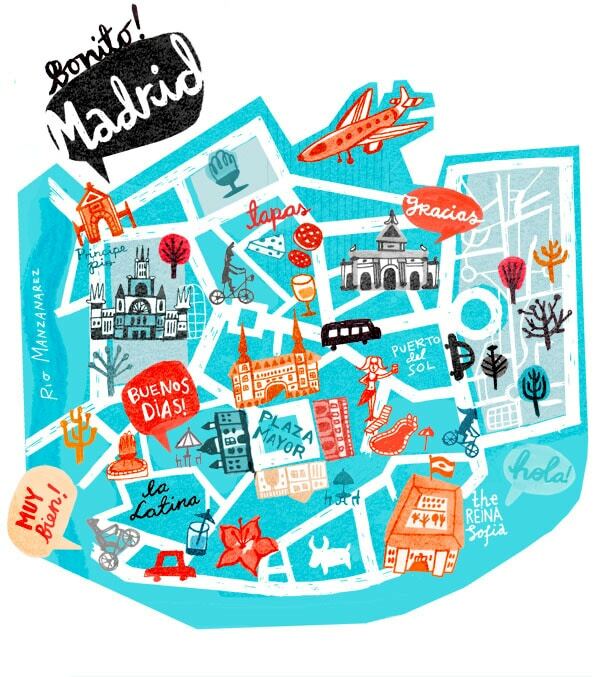 If you want to have even more details about the different neighbourhoods of Madrid, simply check out Citylife’s Madrid Essentials guide!